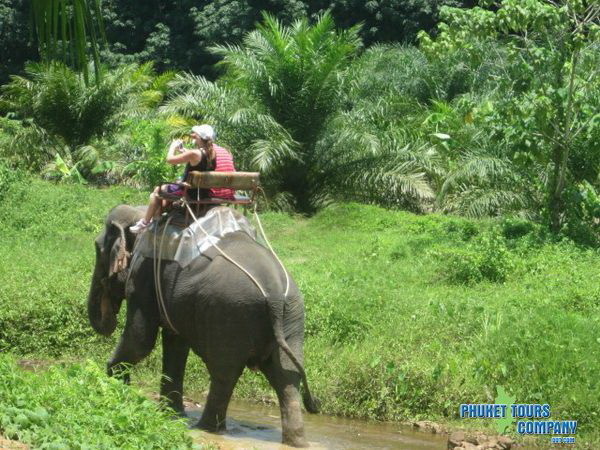 Khao Lak Safari Tour enjoy elephant riding into the tropical rainforest is a fun and exciting experience. The trek will take you deep into the jungle amid the beautiful mountain scenery, passing a rubber forest, crossing a shallow river, to a majestic waterfall. When reaching the falls, you are allowed to get off the elephant and swim. Bamboo Rafting is to get back to nature and relax on the bamboo and classic relaxing on the raft amid the clear fresh river water. Arrive at Elephant camp for an exciting Elephant trekking. Elephant riding into the tropical rainforest is a fun and exciting experience.